The Loire Valley is the third most popular tourist destination in France. So how do you make the most of your visit - and how do you avoid the crowds? The Loire Valley is a very special part of France. It boasts a landscape of natural beauty, featuring some of the most perfectly preserved mediaeval and renaissance period towns, villages and châteaux the world has to offer. The Loire Valley is located in the historic heart of France that was so fervently coveted by the raiding English in the Middle Ages and attracted generations of reigning French Monarchs - the legacy of whom courses through the valley to this day. The Loire Valley is an enchanted land of vineyards, flowers and rolling green hills dotted with more than a thousand chateaux. Today the Loire Valley is the third most popular tourist destination in France after Paris and the Riviera. The journey from Paris to the Loire Valley is a highlight in itself located just a two hour journey through countryside best described as spectacular. The great architectural heritage and stunning array of historic towns and villages are evidence of millennia of interaction between humans and their environment, and reflect the importance of the region during the Renaissance, and its relevance to the development of the modern French culture. Be prepared to leave disappointed however. No matter how much time you donate to your visit there it will always seem like you are leaving a lot unseen in the stunning Loire area. The region is simply too expansive, the sights too numerous and diverse, for the Loire to be considered as a quick and convenient whole. 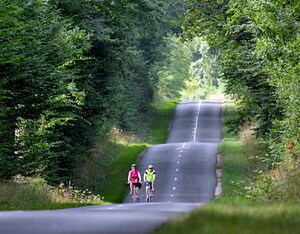 To maximise your time spent on any holiday is a must but in the Loire it is paramount. There are over 1000 castles in the Loire Valley therefore it is important to make sure, given a limited time, that you see the best. A marvellous chateau commenced construction in 1519 and 2000 men worked on its completion. Francois I only ended up living here for about 6 months and after that it was never properly occupied. It was mainly used as a secondary residence for kings and royalty or as a hunting lodge. Though there are no official records Leonardo da Vinci is rumoured to have played a role in it's design as he was living in nearby Clos Lucé in Amboise at the time. The castle sits in a picturesque setting facing onto a lake and surrounded by beautiful gardens. Constructed during the 15th century by Charles VIII, chateau Amboise is stunning rendition of Gothic and Renaissance style architecture. Occupied by various reigning monarchs at varios times the Chateau still houses an exceptional collection of amazingly preserved period furniture. When it was constructed in 1513 on the Cher river by Thomas Bohier, the chateau Chenonceau completely obliterated the previous castle which was owned by the Marques family and only the castle dungeon remained. Bohier never managed to see the finished castle which was later completed by his wife. It then became crown property and Henri II famously offered it to his favourite mistress, the legendary Diane de Poitiers. She was responsible for the construction of the castle's most significant element - the arched bridge which links the castle to the other side of the river. If you have a bit more time to spare, the Loire Wineries are not to be missed. The local produce is world famous as the region is known as a meeting point of several varieties of wine, producing something for everyone. The Loire Valley is easily accessible from Paris, thanks to numerous autoroutes and the fantastic high-speed TGV train system, which makes its Paris-to-Tours journey in only 55 minutes. With its stunning chateaux and proximity to Paris, the Loire Valley has a truly special atmosphere which is enhanced by the gentle climate and well-earned reputation as the "garden of France". Visiting the royal castles like Chenonceau, Chaumont or the impressive Chambord Castle is like taking a walk back into the greatest moments of France's history. Visit romantic castles and taste great wines it will be a truly special experience to not only experience everything it has to offer but also to meet personally with winemakers, local shopkeepers and bed & breakfast owners - the vast majority of whom speak some English. The Loire Valley is situated in the Centre Region of France. The major cities are Blois, Orléans, Tours and Saumur. The department emerged in the aftermath of the French revolution in 1790 and was formed from parts of the provinces of Orléans and Touraine.